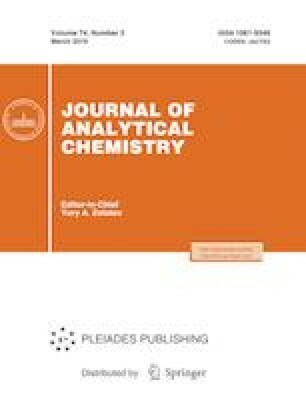 The presented study focuses on the optimum conditions for chemical activation of pencil graphite electrodes (PGE) used in the determination of bisphenol A (BPA). The prepared ethanol–HCl mixture for chemical activation of pencil graphite electrode exhibits better activation factor compared with traditional activation methods like anodizing. The obtained porous and highly conductive surface of PGE can be used as a sensing device. The electrochemical behavior of BPA at the modified sensor was investigated. The effects of pH, accumulation time and sensor activation were examined. In the optimum experimental conditions, adsorptive differential pulse voltammetry was used for determination of BPA, which exhibits a linear calibration graph of Ip versus BPA concentration in the range 1.25 × 10–8 to 1.34 × 10–4 M. The calculated detection limit for S/N = 3 was 1.0 nM. The presented sensor is reusable. The activated PGE was applied for the determination of BPA leached from baby bottles as a real sample using spike method. The authors express their gratitude to the University of Zanjan Research Council for support of this work.